A Surrey based secondary school that strives to deliver an excellent standard of teaching and learning to the Ash | Aldershot based pupils, living up to their motto of 'Aspire and Achieve'. Ash Manor School approached our design team to design and develop a new website. Their previous website had been managed by the school and gradually became outdated. 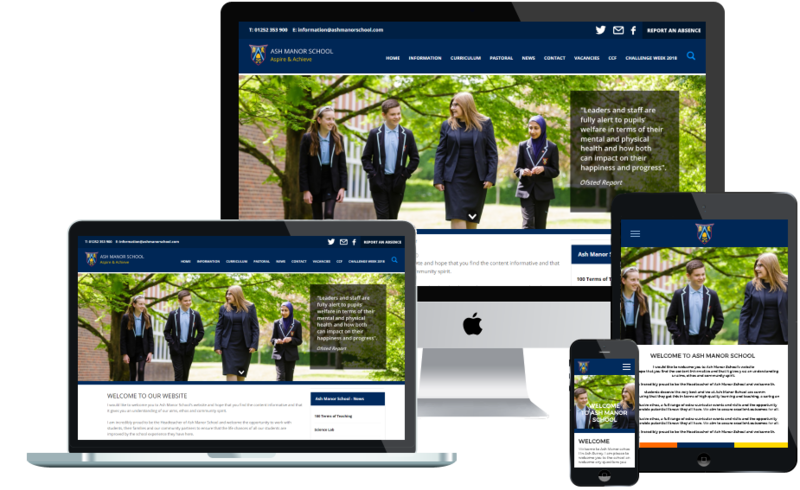 Our design team developed a mobile friendly, modern design for the Surrey based school. ​I cannot recommend this web design company enough. They are always on hand to make any amendments or additions that we request on our managed website, very quickly and professionally.